These days, owning a pug seems to be the ultimate fashion accessory, but we think our Merry Pugmas Christmas jumper is the next best thing. 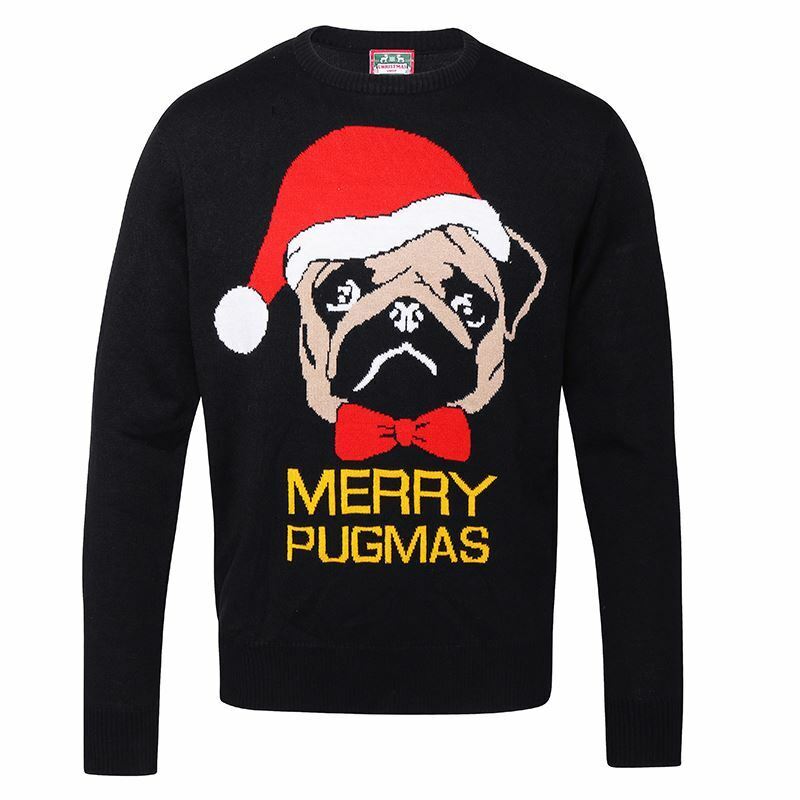 Specification:These days, owning a pug seems to be the ultimate fashion accessory, but we think our Merry Pugmas Christmas jumper is the next best thing! Our pug is sporting a Santa hat and dicky bow and looks great against the main Black body of the jumper.